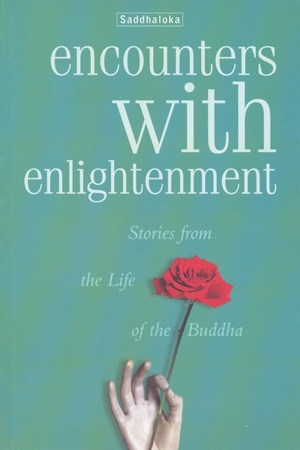 This collection of timeless, well-loved stories from the life of the Buddha is presented with simple elegance by Saddhaloka. By remaining faithful to the ancient Pali texts from which they are drawn, Encounters with Enlightenment allows us to enter the world of the Buddha and encounter an Enlightened One. We do not know if the Buddha could read or write. He left nothing other than the oral stories of his life, his inspiration and his teachings, passed from generation to generation. Later, his words and the incidents of his life were preserved for us on fragile palm leaves. These stories are as fresh and relevant today as they were when told under the cool moonlight of India 2,500 years ago. This collection of timeless, well-loved stories from the life of the Buddha is presented with simple elegance by Saddhaloka. By remaining faithful to the ancient Pali texts from which they are drawn, they allow us to enter the world of the Buddha and encounter an Enlightened One.